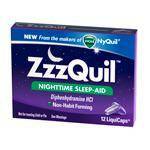 Home / Freebies / Reminder| Win New Zzzquil Sleep Aid! Don’t forget to Enter to Win the Zzzquil Giveaway ending Wednesday, 9/12/12! Check out our Giveaway Rules and Giveaway Winners Pages! FREE Birthday Card + Free Shipping from Treat.com!